A quality public education is a key that can open doors of opportunity for many students. Providing that education takes a team of committed people from educators and staff to parents and administrators. The nine members of your local school board are an important part of this team, making informed decisions that direct the course of our public schools. ”Every January, we take time to celebrate and recognize the challenging and vital work they do on behalf of our students, families and communities,” shared Dr. Christina Steinbacher-Reed, Executive Director of BLaST IU 17. School directors volunteer an average of 10 hours each month to board work, which includes adopting policy, voting on budgets, approving curriculum changes, choosing textbooks and reviewing hiring decisions to name a few. They take time to learn about the issues affecting public education and to seek innovative solutions. As unpaid, locally elected officials, school directors are invested in their communities. They include our neighbors, friends, local le aders, parents and engaged senior citizens. 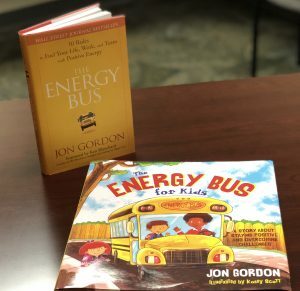 In an effort to show appreciation for their time, dedication and year-round commitment, each School Director was presented with the book The Energy Bus. 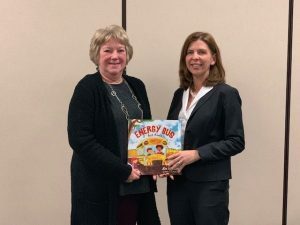 “The job they do is necessary to ensure our schools remain a pathway to a promising future and we thank them for advocating on behalf of our collective interest, and most importantly, for making the success of our children their priority,” said Steinbacher-Reed.